Ms. Mary Lue Emmerson joined SMS in July 2016. As Foundation Years Principal, she focuses on helping students and teachers from junior kindergarten through to Grade 4 meet their learning and life goals, while building a strong community by connecting these foundational stages of education to the rest of the school. Mary Lue sees her role at St. Margaret’s School as coming full circle. She has been involved in girls’ education within independent schools as an integral part of her family and personal history, education and career path. Having experienced an all girls’ setting as a student, Mary Lue recognizes how a female-centred learning environment empowers a girl for life. She has long been intrigued with the connection between the unique dynamics of girls’ relationships to their self-esteem and learning, and thereby pursued a Master’s degree in Women Studies and Education, and later another in Leadership and Counselling. 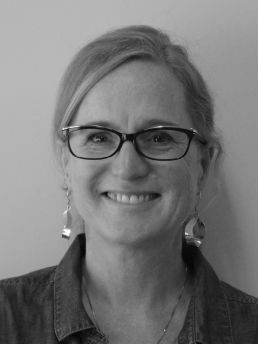 She has spent her career advocating for girls in Canada, England, and the United States as a teacher, curriculum writer, mentor, and counsellor. In an independent all-girl school, Mary Lue sees the potential to do what is best for girls’ development – as individuals and as leaders – by forging learning partnerships between dedicated parents, strong teachers, and positive role models, and by focusing on Dr. JoAnn Deak’s four Cs: connection, competence, confidence, and courage. The school’s motto, Service with Love, really resonates with Mary Lue. She is passionate about service learning, in her individual pursuits and at school. She believes that in nurturing empathy we can instill in children a strong desire to make a difference in the world. Outside of school life, Mary Lue admits to being a bit of a foodie, and loves browsing recipes in beautiful cookbooks. She enjoys cooking, when she has the time, and sees it as a way to show her love and nurture others.